Modern medical treatment is characterized by an increasing number of various technological elements such as technical medical instruments, medical information systems, imaging components and surgical assistance systems. The need for research and development into new medical systems and networked applications for methods of treatment is growing rapidly. This applies in particular to the scientific fields of medicine, computer science, engineering and mathematics. If they are to support individual treatment for patients in the best way possible, new technologies have to be integrated into the clinical environment. Moreover, these systems need to be able to communicate and interact both with each other and with the hospital’s IT system. The integration of new technical infrastructure and technologies as well as the variety of resulting information present new challenges for physicians, engineers and manufacturers. 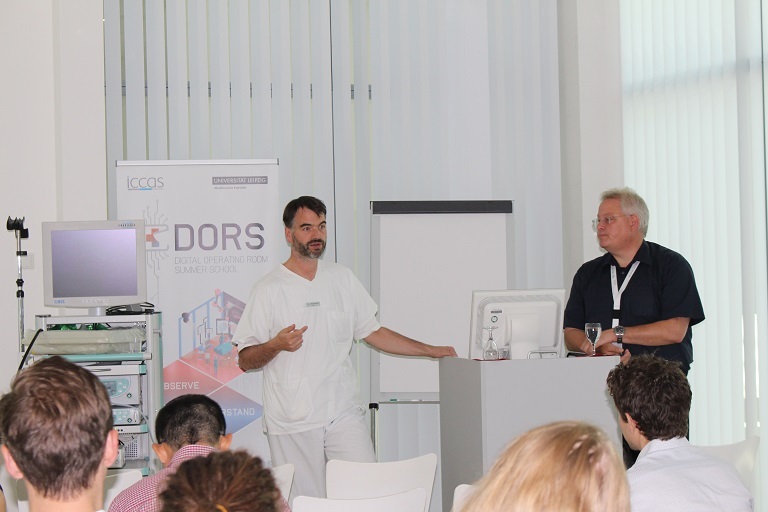 To empower a new generation of young scientists to meet these challenges and carry out future projects, the Innovation Center Computer Assisted Surgery (ICCAS) at university Leipzig plans to hold his 6th Digital Operating Room Summer School (DORS). 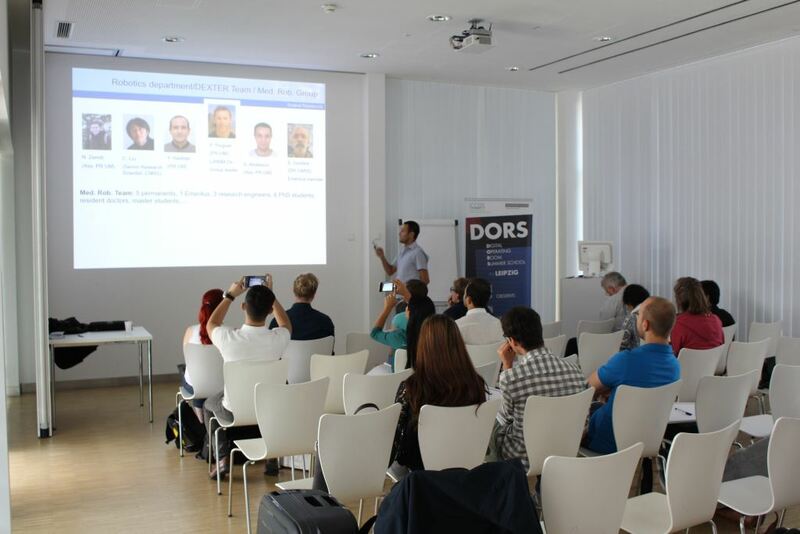 DORS is primarily aimed at graduates, doctoral students, post-docs and senior scientists from research and industry with a multidisciplinary background. 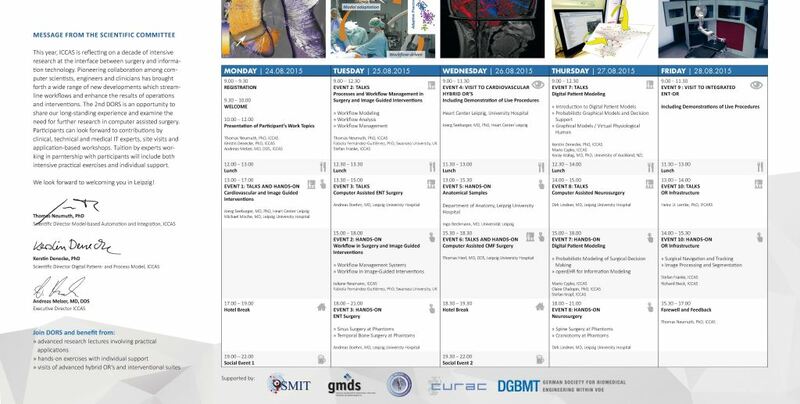 The five-day intensive course with an attractive, varied program will comprise lectures, hands-on sessions, visits to operating rooms and individual workshops, giving the participants an extensive overview of medical technology in digital operating rooms from different angles along with insights into current research projects and problems. Clinical experts and users will explain their views and expectations regarding innovative computer-assisted technologies as well as the current state of progress in clinical practice and research. Both successful developments and negative examples will be addressed and the advantages and disadvantages for therapeutic medicine set out. Moreover, the technical background of innovative infrastructure and technical standards will be examined, and various architectures, frameworks and communication technologies for computer assisted interventions in the digital operation room explained. 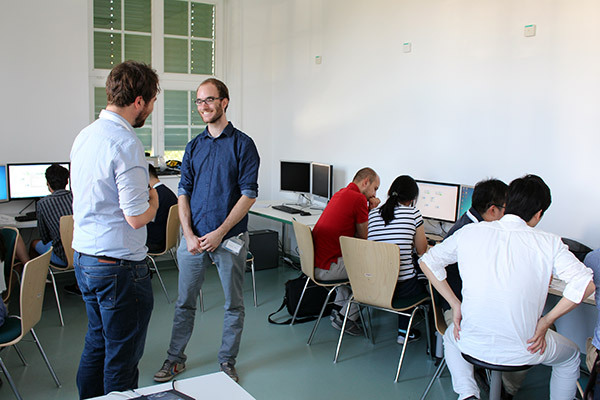 The educational concept of the summer school provides for the strong interdisciplinary dovetailing of medical and technical aspects in a manner which is unique in the global technology landscape. 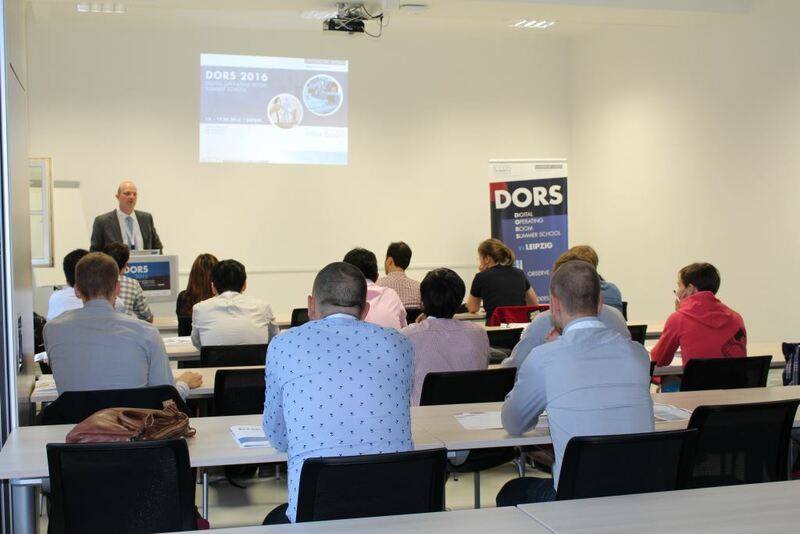 Accordingly, the summer school will be organized in daily modules each devoted to a different topic and divided into lectures, visits and hands-on sessions. In addition it is also planned to establish workshops, in which the participants put their own research fields under discussion. 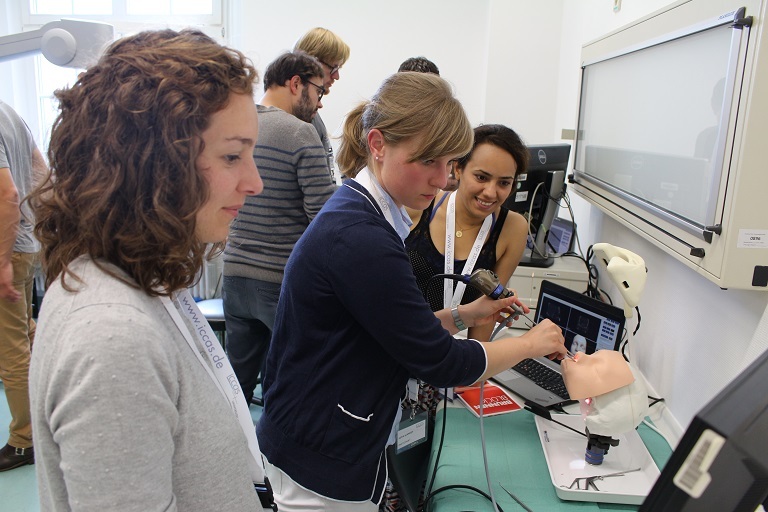 This broad combination of teaching methods involving the close integration of theory and practice will give participants an intensive insight into many different aspects of computer-assisted surgery. 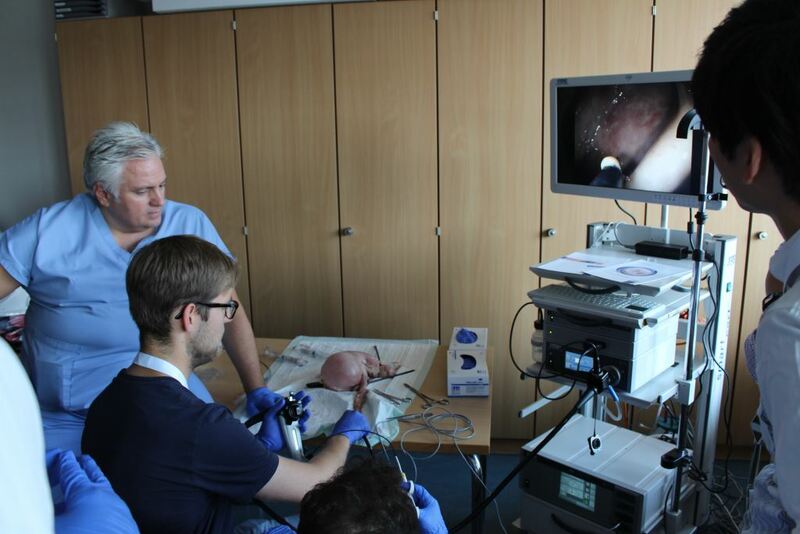 Particular attention will be paid to achieving a sound balance between theoretical teaching, opportunities for participants to try out what they have learned, providing demonstrations of clinical practice and as individual workshops. 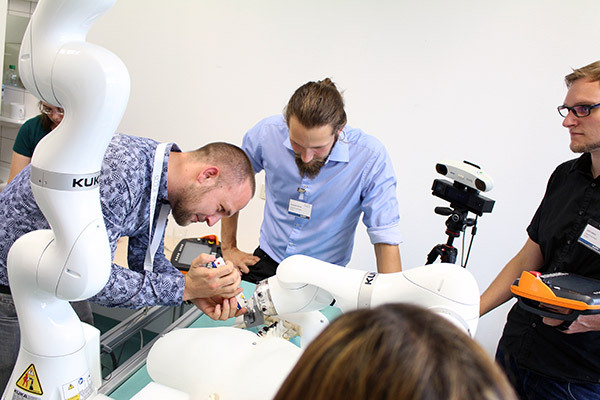 The educational concept of the summer school provides a strong interdisciplinary interaction of medical and technical aspects in a manner which is unique in the global technology landscape. Accordingly, the summer school will be organized in modules each devoted to a different topic and divided into lectures, visits and hands-on sessions. 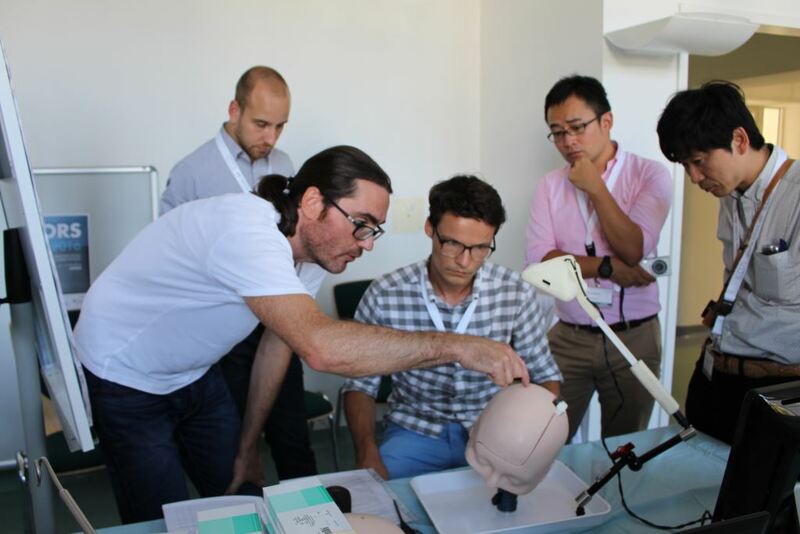 This broad combination of teaching methods involving the close integration of theory and practice will give participants an intensive insight into many different aspects of computer-assisted surgery. Particular attention will be paid on achieving a sound balance between theoretical teaching and providing demonstrations of clinical practice. 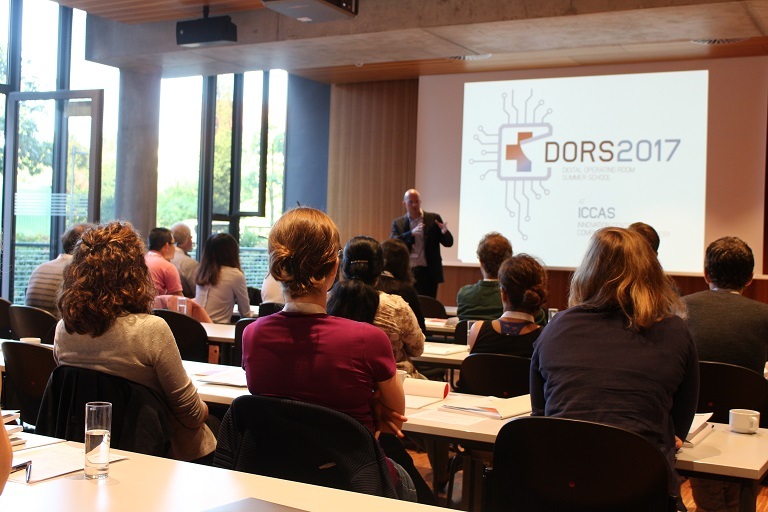 For the fifth time, the ICCAS hosted its Digital Operating Room Summer School (DORS). 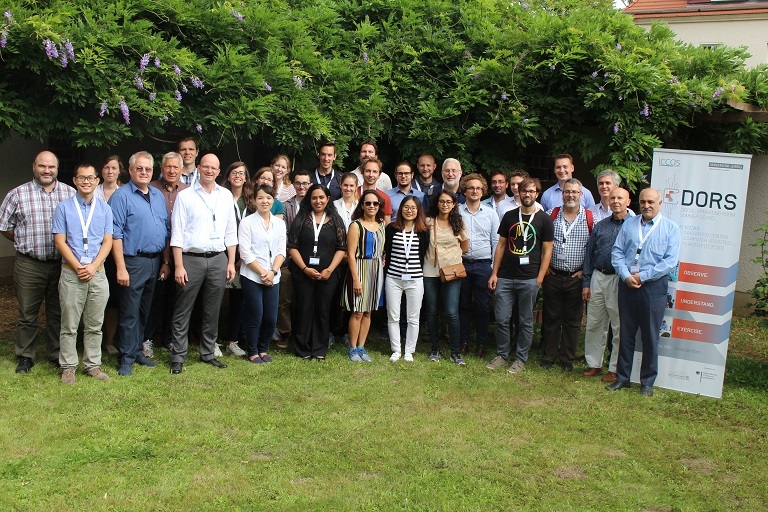 In theory and practice the 16 international participants worked on different topics related to computer assisted medicine. 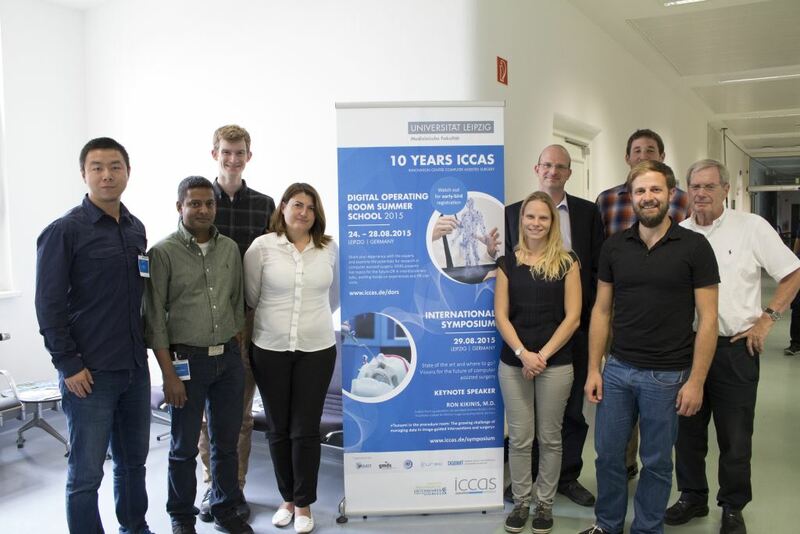 The particularly positive feedback from the guests was mainly due to the rich and varied program and to the intensive support provided by the entire ICCAS team. Between lectures, technical exercises and OR visits there was enough time for constructive exchange and stimulating discussions between the participants and the national and international tutors. 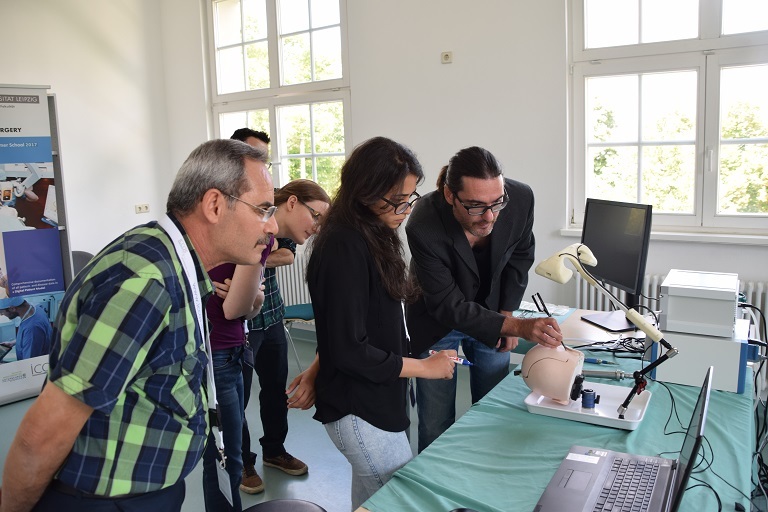 The event, accredited with 35 European CME-Credits (EACCME®), offered an interdisciplinary approach to medical and technical aspects and is annually organized in close cooperation with physicians of the Leipzig University Hospital and the Heart Center Leipzig. 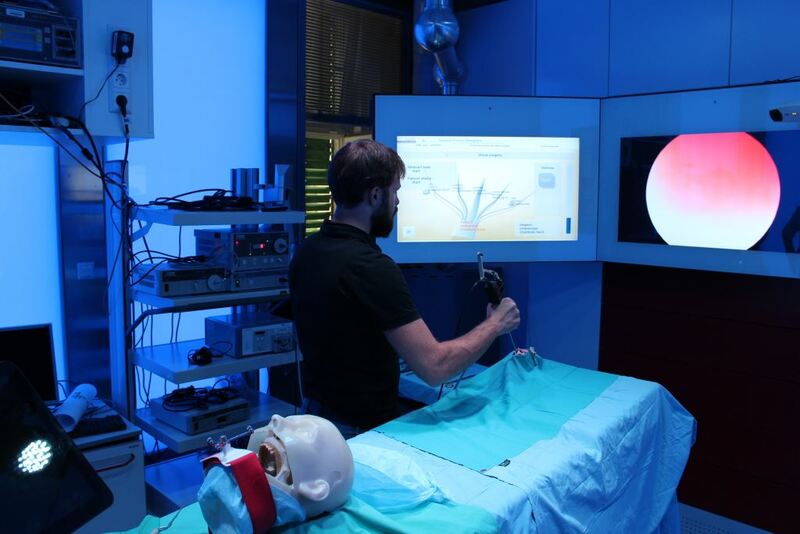 The focus was 2018 on topics of latest computer-assisted applications in the medical fields of: Ear-Nose-Throat Surgery, Visceral and Heart Surgery, Urology and Radiology as well as on the Digital Patient Model, Medical Robotics and future-oriented technologies for the operating theatre of tomorrow. 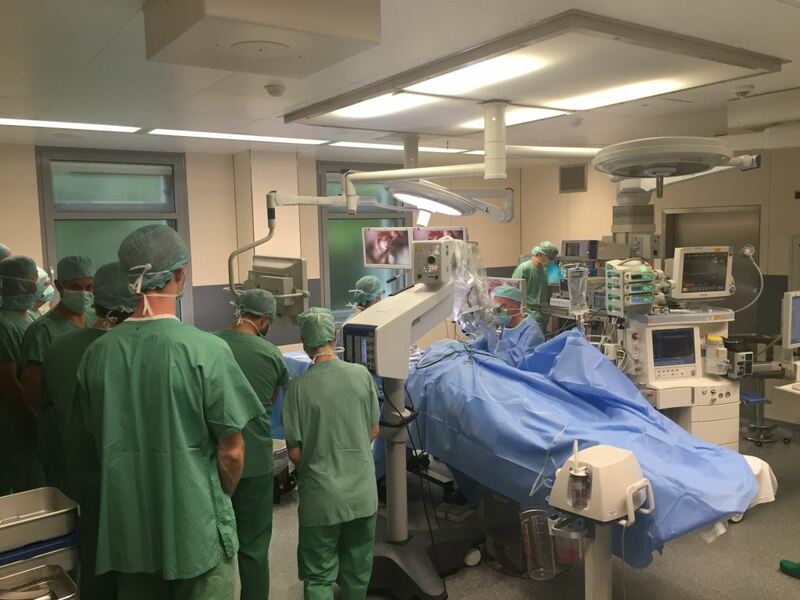 The combination of lectures, hands-on sessions, visits to operating rooms and discussions ensured an intensive and methodically wide-ranging insight into the content. Social events offered intensive communication, relaxation and exchange of experiences. 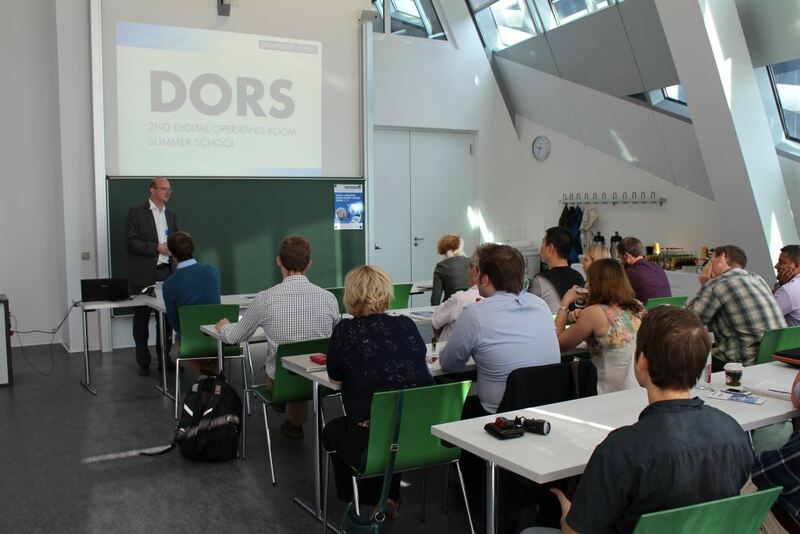 ICCAS‘s Digital Operating Room Summer School (DORS) successfully ended in early September. The feedback of the 26 participants from 12 states was very positive. They were convinced by the well balanced combination of theoretical knowledge transfer, OR-visits and practical units. 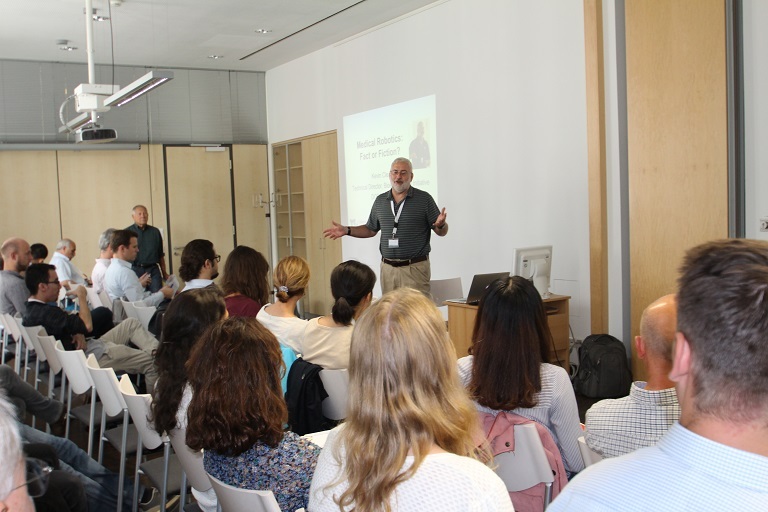 Physicians of Leipzig University Hospital and Heart Center Leipzig as well as foreign experts supported the extensive summer school program, certified with 38 European CME-Credits (EACCME®). 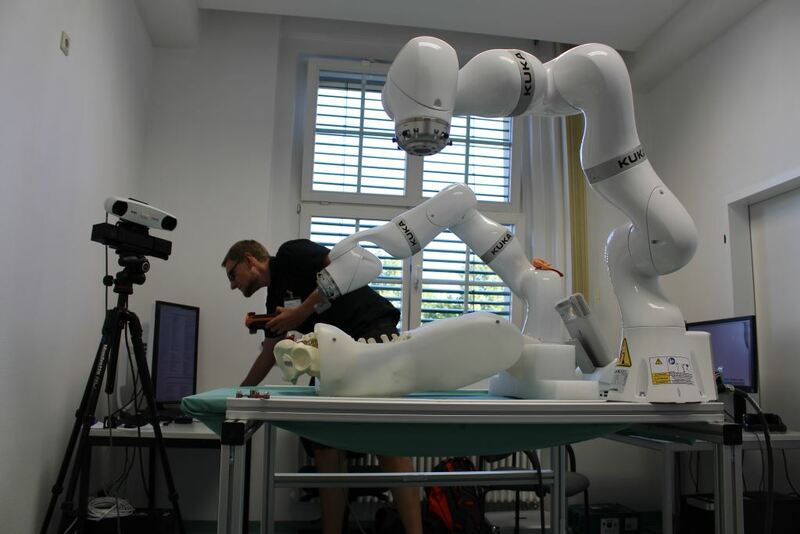 The course contents included computer assisted applications in the fields of ENT-, Neuro-, Visceral- and Heart-surgery, Urology and Radiology, the Digital Patient Model, medical robotics and technologies for the future operating room. The next DORS is scheduled from August 27 – 31, 2018. 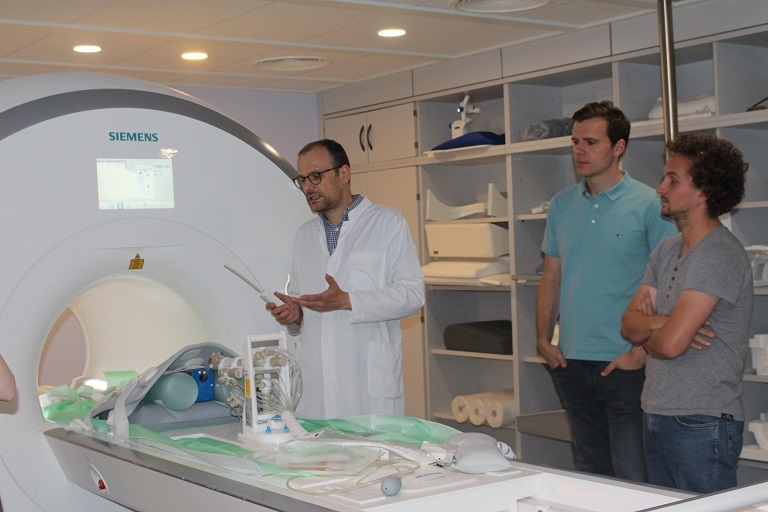 The internationally oriented course familiarized about 20 participants latest computer-assisted OR-technolgy from the object of research until the direct use on the patient. 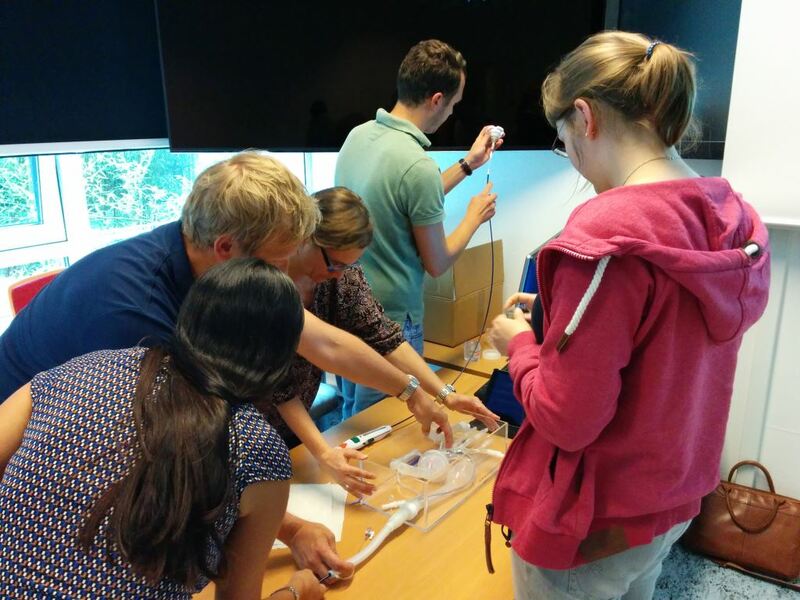 Computer scientists, engineers and medics from Germany, Switzerland, the Netherlands, Turkey, Italy, China, Japan and India experienced an inspiring week with many practical sessions. 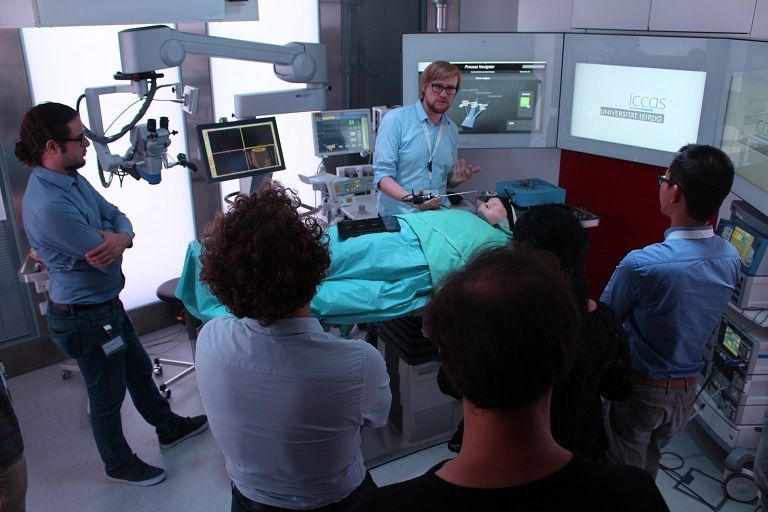 The well filled programm kept its promise – interesting expert lectures, followed by practical exercises partly on patient phantoms and visits to state-of-the-art operating theaters and labs of Leipzig University Hospital and Heart Center Leipzig. 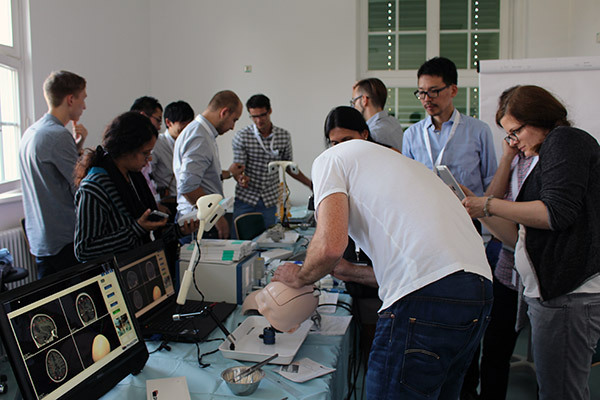 The participants praised the good balance between clinical and technical aspects as well as the theoretical explanations and practical sessions. 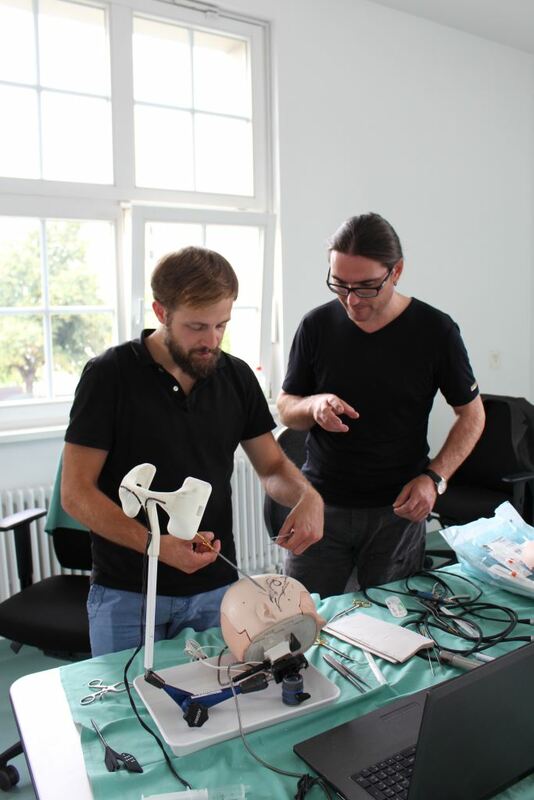 The whole course was certified with 57 credits by the national authority ‘Sächsische Landesärztekammer’ and with 33 European CME-credits (EACCME®). 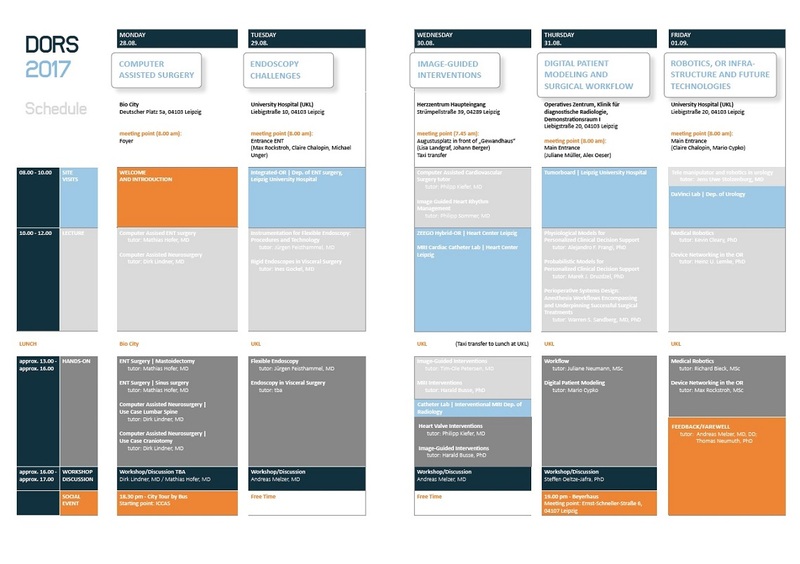 Early bird registration is open until 30.04.2019. Please note that only 3 single modules can be booked. If you only want to participate in 4 days, you have to register for the whole week. 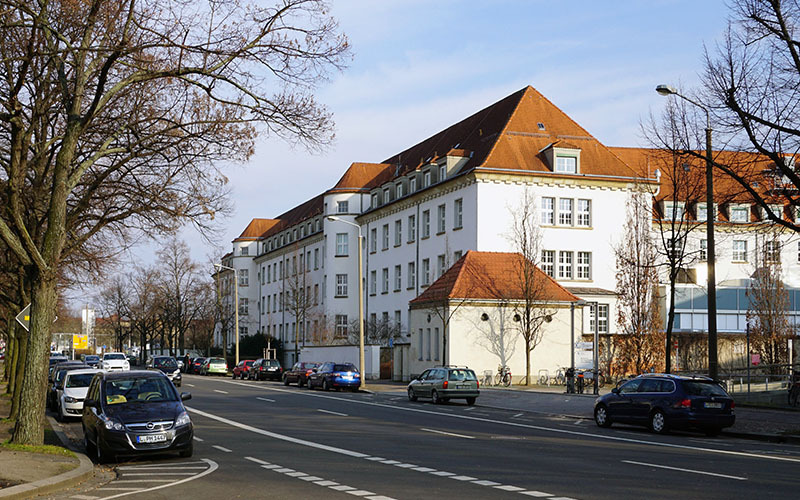 The school will be held at the premesis of ICCAS (Semmelweisstrasse 14, 01403 Leipzig). Leipzig is always worth a visit. The city of Linden, is now over a thousand years old and Germany's fastest growing city. Famous events in European history such as the Battle of Leipzig in 1813 and the Peaceful Revolution in 1989 are associated with it. Today, Leipzig is a key center of commerce, culture and learning. 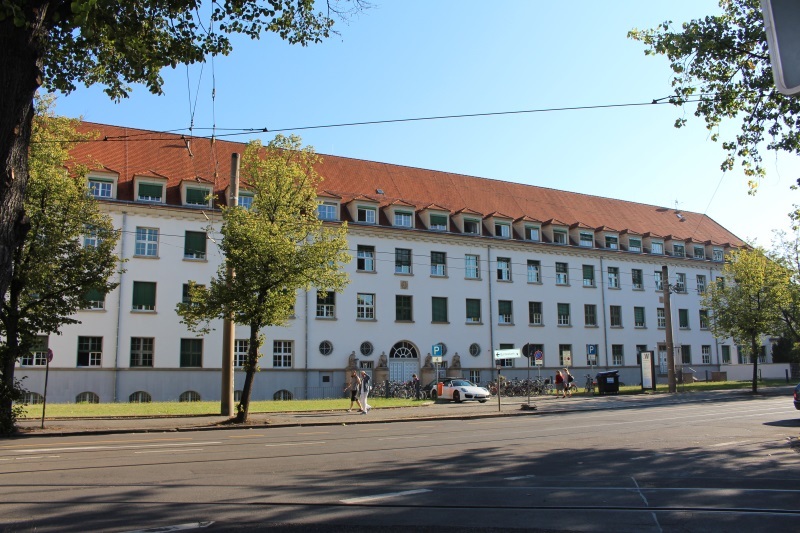 Moreover, the city has become an attractive business location in Central Germany. It focuses on expanding industries such as biotech and biomedical engineering. The result is an extended landscape of higher education and the establishment of important research centers. After work a guided tour through Leipzig city center or a pub visit are planned to better get to know the location and your international colleagues.